If you are involved in an auto accident, you should take note of the other driver’s appearance if you are able. Drunk driving is the cause of numerous car and truck accidents on Missouri highways. Each year hundreds of thousands of people are injured and tens of thousands killed in alcohol-related accidents nationwide. 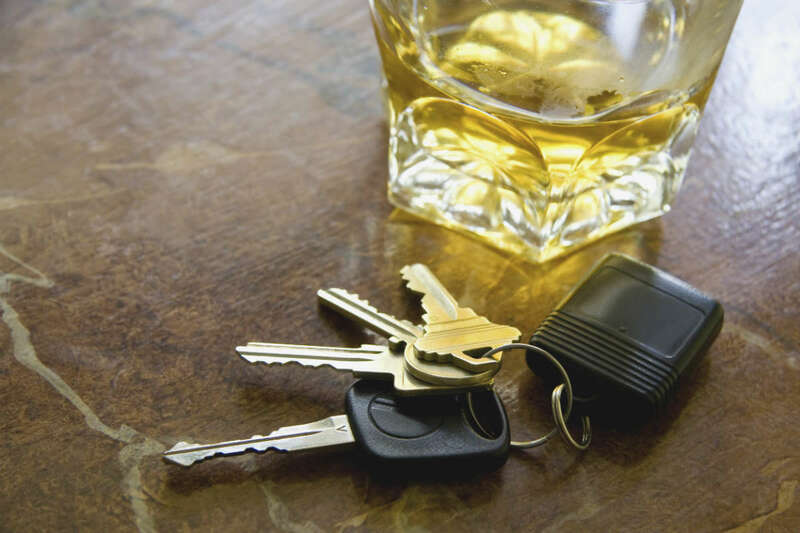 Not only do you need to ensure you are not on the road driving drunk, but you need to be aware of your surroundings while driving to ensure that you are not the victim of a drunk driving accident caused by a DUI driver in another vehicle. According to the CDC, from 2003 to 2012 a total of 3,314 people were killed in Missouri because of a drunk driver. Approximately 40% of all driving fatalities are caused by drunk driving. These accidents could have been avoided. If you, or a family member, were unfortunate enough to be involved in a drunk driving accident, please retain an experienced lawyer immediately. The sooner an experienced drunk driving accident attorney gets involved, the better. An experienced car accident attorney can work with a toxicology expert to gather evidence from police reports, the scene of the accident and from witnesses. At The Hoffmann Law Firm L.L.C., in St. Louis, our car and truck accident lawyer Chris Hoffmann can assist you in obtaining the compensation you need for present and future needs, lost wages, and pain and suffering. At The Hoffmann Law Firm, L.L.C., we only handle auto accident claims, and we are very good at our job. Drunk driving, whether it results in a car accident or a truck accident, is a tragedy that should have been avoided. Let us help you obtain the maximum amount of compensation for your claim. While no amount of money will make things right, we can at least help you avoid further complications from your drunk driving accident. Missouri law makes it illegal to drive a car with a BAC of .08% or higher. The penalties for this action depends on the severity of the offense, though in most cases it involves a ticket the offender has to pay and other administrative punishments like license suspension. The more serious the repercussions of your actions are, the harsher the punishment. And, when the DUI also involves a child present in the vehicle, you can also be charged with child endangerment. First degree: a person commits the crime of endangering the child if they knowingly act in a manner that puts the child at risk. Second degree: applicable if the person violates state traffic laws with a child passenger under 17. Endangering a child in the first degree is considered a Class C Felony, and the second degree is classified as a Class A misdemeanor. The courts will decide which of the two to charge the driver with based on the circumstance of the DUI, particularly in how much danger the child was. For instance, if they caused an accident where the child got hurt, and were also driving under the influence, then the charge will be child endangerment in the first degree. If the child dies, it is a class A felony. Fines or time served are not the only problems they can face in these situations. Driving under the influence potentially puts the child at great risk of getting injured or, even worse, killed. Missouri law states that parents or guardians are completely responsible for the well being of the child, and any actions that threaten it are severely punished by law. Moreover, there can also be an additional problem involving custody. If the drunk drivers crime is severe, the courts may rule that you are unfit to take care of the child, and either temporarily or permanently remove them as guardian. The child will then be placed under the care of a family member or, if that is not an option, under the care of the state or foster family. If you have been hit by a drunk driver, you cannot recover compensation unless it is proven that the other driver was, in fact, intoxicated. One of the most obvious signs that a person is intoxicated is by how they look and act. If you are involved in an auto accident, you should take note of the other driver’s appearance if you are able. 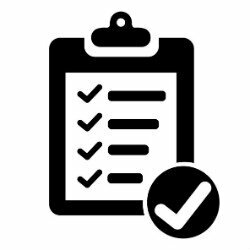 The police report is likely the most important document in a DUI or DWI conviction. It generally has enough information in it to justify the arrest and conviction of the driver. However, the testimony from eye witnesses is still important. Additional evidence may be needed to prove that the driver was actually impaired during the time of the accident. At times, the at-fault driver is not charged with driving under the influence or driving when intoxicated. In these situations, any evidence such as observations of witnesses who saw stumbling, smelled alcohol on the driver’s breath, or witnessed erratic driving can be helpful. Statements made by the suspected at-fault driver should be written down or recorded. A statement such as, “I just had three cans of beer”, can be used as evidence. A field sobriety test is used to determine any impairment of normal faculties. The driver is usually asked to perform basic tests to establish the level of their impairment. The results of field sobriety tests are documented and recorded. The test can be used to establish that the driver was drunk at the time of the crash. In most cases, a reporting officer will conduct a breath test of the driver. The test is the strongest evidence against a drunk driver and can prove that the driver had a higher BAC than permissible levels. A police report is used to document that an accident occurred, the involved parties, and the findings of the police officer. The report is an indicator of what the police officer will testify to at the trial. A thorough police report is extremely important because the responding police officer can be a key witness in both civil and criminal cases. An eye witness statement can help preserve what was witnessed at the time of the crash. A statement should be taken immediately after the accident and any eye witnesses asked to sign a statement. An eye witness could be anyone who has firsthand knowledge of the accident such as passengers, bystanders, or someone who witnessed the driver consuming alcohol. Any recordings on someone’s cell phone or a police car’s video recording device can be used as evidence. If you or a loved one have been injured by a drunk driver, you deserve compensation and should be receiving all of your benefits. The Hoffmann Law Firm, L.L.C. will help you understand your legal rights and options. If you plan on going out and drinking, it is critical that you understand how to keep yourself and your loved ones stay safe. Understanding these tips ahead of time could save lives. If your group plans to drive to wherever you’ll be drinking, you should decide on somebody to be the designated driver (DD). If you don’t have a plan, the odds are that everyone may end up drinking and you’ll be left in a dangerous situation. One crucial point is that you must ensure your driver does not succumb to drinking at some point in your outing. To do this, make your DD somebody that is very responsible, and if you see them drinking, speak up about it. One thing that can take the stress out of having a DD is taking a taxi or ridesharing service. The cost is well worth your peace of mind. Additionally, you won’t have to worry about parking. If you drive somewhere with the intention of not drinking, but then decide you want to, you might end up driving drunk later that night. To avoid this, you can give your keys to a trusted friend before you ever start drinking and tell them to keep your keys until tomorrow. If you are too drunk to drive, you will likely want to call a friend, taxi, or rideshare service. Unfortunately, you cannot do this if you don’t have a functional phone. Make sure this doesn’t happen by fully charging your phone before you leave and not overusing it during your outing. Sometimes, people will think they are okay to drive after just a few drinks. They believe that their BAC is under the legal limit and that they will be safe. Then, they are surprised to get into an accident or receive a DUI. To avoid this, have a zero tolerance policy. Even if you have only one or two drinks, don’t get behind the wheel.